a multiple sequence alignment editor written in Java. It is used widely in a variety of web pages (e.g. 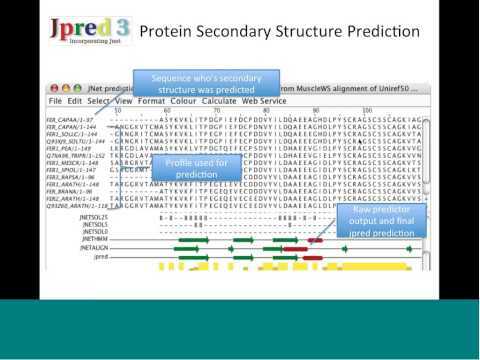 the EBI Clustalw server and the Pfam protein domain database) but is available as a general purpose alignment editor. A. M. Waterhouse, J. B. Procter, D. M. A. Martin, M. Clamp, and G. J. Barton. 2009. Jalview Version 2 - a multiple sequence alignment editor and analysis workbench. Bioinformatics. 25(9): 1189-1191. In 1987, when Geoff Barton was a graduate student learning computational structural biology at the University of London, just 6000 protein sequences were known, but their numbers were rising exponentially, and it was becoming clear that they had commonalities. Sequences that yield valuable functions have staying power, so they are conserved throughout evolution. Finding these recurring patterns, however, required painstaking pencil and paper comparisons.